It was reminiscent of the Aba Women riot in November/December, 1929. Then, the women had to protest heavily in Owerri and Calabar Provinces against the policies of the British colonial administrators. They refused to be intimidated and mobilised into the streets to demand that the special task on market women among other things, be proscribed. Eventually, the women who conquered fear of bullets and fiery looking armed British police officers as well as the warrant chiefs, succeeded in their bid to invalidate the order by the colonial rulers. However, the story was not without the report of some of them being injured in the process as well as others said to have lost their lives. But the British Government will not forget in a hurry, the raw deal they received from Igbo women, when the colonial administration wanted to impose tax on women. The massive revolution that followed the policy, which the women perceived as obnoxious, is still known today as the Aba Women Riot. The truth is that the Aba Women Riot has taken its place in history as one story that has refused to die. The story is recalled with relish each time anything calls for the narrative, as in the case of female loyalists of the Indigenous Peoples of Biafra, IPOB. 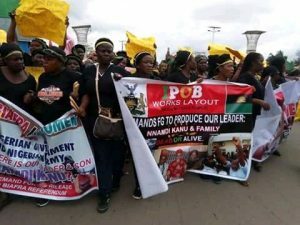 When the women, said to be members of IPOB, numbering over 2,000 conquered fear and protested against government actions on proponents for Biafra Republic, it was about the most pronounced protest by pro-Biafra women. Soon after the Muhammadu Buhari administration announced the proscription of IPOB, the Nigerian Army high command, for reasons best known to them, came up with Operation Python Dance, principally targeted at the South- East geo-political zone. After the military python finished “dancing” at Afara, Umuahia, Abia State, the protagonist of IPOB, Mazi Nnamdi Kanu, has remained “missing” till date. Nobody has been able to account for his whereabouts. The Imo State Police Command led by Dasuki Galadanchi, did not answer any of the questions raised by the women. He rather interpreted it as “treasonable felony” and sent his men against the women. Teargas cannisters were fired at the women along Assumpta Avenue. Many were either bruised, injured or arrested. Siren blarring police patrol vans made several runs to ferry the “prisoners of war” to the State Police Headquarters, Owerri. This was on a Friday. The women remained in police custody till Monday, August 20, when 114 of them were brought to the Magistrate Court in eight vehicles. Expectedly, scores of other IPOB loyalists were not only in the court premises, but also provided breakfast for the detainees. The incarcerated women defied the huge police presence and kept singing their Biafra solidarity songs. Two of the women, Nwakaego Fabian, who fainted in the vehicle that brought her to the court, and the pregnant Nzubechi Uwakwe, who started bleeding, were rushed to the Police Hospital, Owerri, on the humanitarian instruction of Mr. Godwin Idehai, a Chief Superintendent of Police, CSP, that led the police team. A 10-count charge signed by Mr. Thaddeus Okey of the Legal/Prosecution Department of the Command, was slammed on the women, vide OW/430c/2018, including treasonable felony. 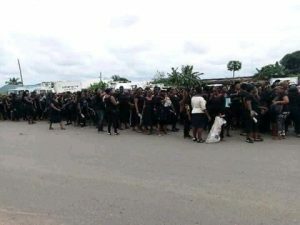 The women were also charged for “unlawful procession,” which the police claimed, contravened Section 517 of the Criminal Code Act Cap C38 of the Laws of Federation of Nigeria, 2004, as applicable to Imo State. With the plea taken by the women, a defence counsel, Mr. Aloy Ejimakor, faulted some of the charges, saying that the issue of the proscription of IPOB was still before a court of competent jurisdiction. “Your Worship, the issue of IPOB proscription is before a court of competent jurisdiction and this makes the charge of treasonable felony a non-issue,” Ejimakor told the court. Following the superior arguments put up by Ejimakor and his colleagues, and the obvious capitulation of the prosecution, the court struck out the first and second charges. Ejimakor accused the police of “unjustly arresting, detaining and arraigning the innocent Igbo women in court for merely expressing their rights guaranteed under the Nigerian Law. “I want to put it on record that palpable injustice still persists in this land. The nearly 150 Igbo women, arrested and detained in Owerri since August 17, 2018, broke no known laws of Nigeria. “The women were merely expressing their rights guaranteed under the Nigerian Law. He then wondered why the fine, innocent and hapless young and elderly mothers were given 10 criminal charges, for merely expressing this right and taken to a court, which the government and police knows has no jurisdiction to try the matter. “This is a wicked trick to get as much jail time as possible, before the High Court convenes after their annual vacation, to consider their bail applications. 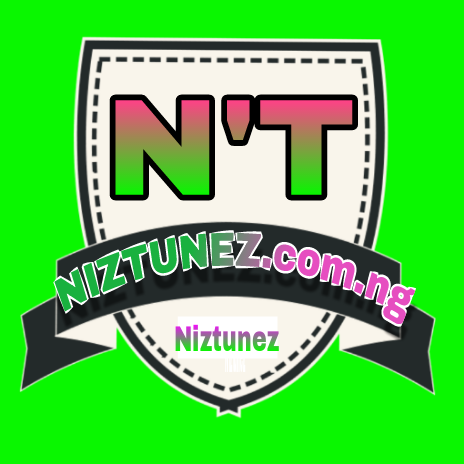 All men and women of goodwill must rise to condemn this double injustice,” Ejimakor fumed. 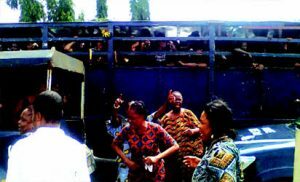 The women were, however, not so lucky when their lawyers urged the court to admit all the accused persons on bail, as the Magistrate, who had no jurisdiction to hear the matter, ordered that they be remanded at Owerri Federal Prison, and adjourned the matter to September 3, 2018. The Imo Progressive Lawyers Association, IPLA, could not afford the luxury of waiting till September 3. They could not also understand why the women should be made to pass through the excruciating pain and dehumanization unchallenged. The lawyers then approached the Vacation Judge, Justice Benjamin C. Iheka. AFTER HEARING THE LAWYERS AND BECAUSE THE POLICE DID NOT CHALLENGE THE PRAYERS OF THE DEFENCE COUNSEL, JUSTICE IHEKA UNCONDITIONALLY DISCHARGED AND ACQUITTED ALL THE IPOB WOMEN.